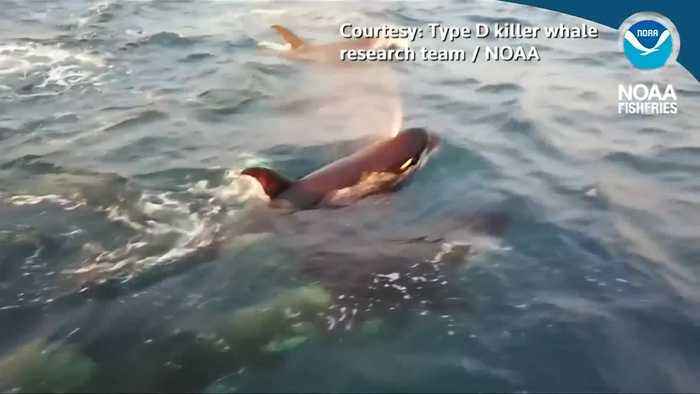 Scientists announced Thursday that they have finally gotten their first look at a rare type of killer whale, after an international expedition of scientists led by the National Oceanic and Atmospheric Administration (NOAA) saw underwater videos and brought skin samples back for analysis. NO REPORTER NARRATION Scientists announced on Thursday (March 7) that they have finally gotten their first look at a rare type of killer whale, after an international expedition of scientists led by the National Oceanic and Atmospheric Administration (NOAA) saw underwater videos and brought skin samples back for analysis. 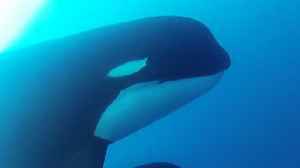 Currently named 'Type D', the orcas have more rounded heads, a narrower, more pointed dorsal fin, and a tiny white eyepatch compared to other killer whales. 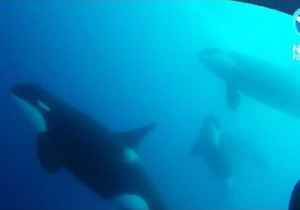 Video obtained from the research team showed a pod of around 30 orcas approaching their vessel multiple times, as well as underwater footage of these orcas following the researchers' boat. 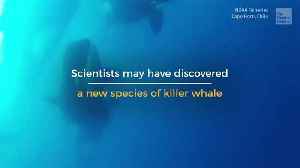 The whales "could be the largest undescribed animal left on the planet," according to Bob Pitman, the NOAA researcher who led the international expedition. 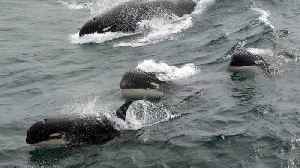 Researchers hope that skin samples will help prove that these whales of a different species to other killer whales. 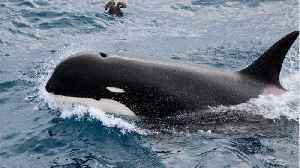 Scientists have heard about these whales ever since a mass stranding in New Zealand in 1955 but were not sure if they were of an entirely different type, Pitman said. 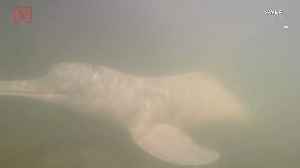 American and British researchers find and record elusive Brazilian river dolphin; could have evolutionary ties to pilot and killer whales! Veuer's Elitsa Bizios reports. Scientists just discovered a rare killer whale species after a 14-year search. 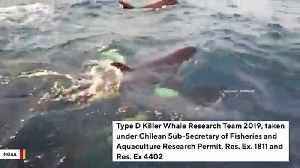 Researchers working off the coast of Cape Horn, Chile recently got their first in-person glimpse of a mysterious killer whale that may be a previously unknown species.